New Delhi: In a big boost to introducing the goods and services tax (GST) in the country, states will insist on permanent account numbers (PAN) at the time of registering dealers. This will not only create a national database, but the use of a single parameter such as PAN to link all indirect taxes levied across India will also help check tax evasion. All central government taxes are already linked using a PAN-based system. A draft legislation to this effect, which requires amending the Constitution, was tabled during the budget session of Parliament. A parliamentary standing committee is discussing the draft law. The government hopes to roll out the new tax regime by 1 October 2012. The in-principle decision regarding PAN was taken during a meeting of an empowered committee of state finance ministers on GST held on 14 October. “The states are making it mandatory for all dealers, both existing and new, to give PAN during registration," Sushil Modi, Bihar’s deputy chief minister and chairman of the panel, said last week. “Though no formal resolution was passed to this effect in the meeting, there was a general consensus among states." The states were earlier reluctant to agree, but the magnitude of tax evasion detected in Maharashtra as part of a pilot undertaken to ensure states’ technology infrastructure is GST-compliant convinced them. “In this pilot, Maharashtra found many items on which excise and customs duty was being paid, and no VAT (value-added tax) was being paid by companies," a finance ministry official said, requesting anonymity. “The amount of tax evasion detected was as high as ₹ 500 crore." An empowered group on information technology (IT) infrastructure for GST led by Nandan Nilekani had advocated the need for a unique identity to identify each taxpayer and suggested a common PAN-based taxpayer registration system. With states now making it compulsory for all dealers to register with a PAN, tax authorities across the country will now get a unified view of all taxpayers. “This will go a long way in checking tax evasion, as it will help connect both direct and indirect taxes," said Modi, who is also the finance minister of Bihar. “So now state and central governments can compare income tax, VAT, customs and excise duty paid by a person and look for discrepancies." Besides checking tax evasion, this will also assist in improving the information-sharing mechanism among states and the centre, which is crucial for the creation of a unified market. “Companies were declaring goods to the central government but not to the state government, which was not unearthed because of lack of an information-sharing mechanism," the ministry official said. The government had launched a pilot in 11 states in collaboration with National Securities Depository Ltd, India’s largest depository, in June to check the IT infrastructure of states and ensure they have the minimum technology network required to exchange information between states, the official said. 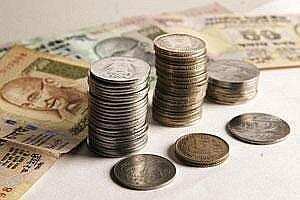 “The government has made it mandatory for electronic filing of excise and service tax returns. Some of the state governments also have made it mandatory for filing of VAT returns electronically," said Pratik Jain, executive director at consultancy KPMG. “With such an electronic database available, PAN can become a common link through which the government can check both tax compliance and evasion, which is not possible now due to our federal structure." “While it will act as a tool for a more efficient audit for the government, it will be beneficial for businesses also helping them track their records," he said. “A comprehensive database will also facilitate a faster roll out of GST."